Mecha-Ghidorah and the Super-X quickly left their hangars in Tokyo. They flew at their maximum speeds, having to reach Queensland, Australia as soon as possible. Their task was easier said than done. It had been dubbed “Operation Destroy All Monsters.” It sounded simple: send everything they had at the group of monsters in Queensland. If it was a success, the world would be free from its most powerful monsters. The pilots quickly noticed something was following them. It was undoubtedly the giant pterosaur Rodan. They realized he must’ve recognized the cyborg dragon as the one he helped defeat two years prior. However, he didn’t seem to attack. The pilots wondered if he was simply curious. He flew with them the rest of the destination to Queensland, Australia. As they arrived, the pilots noticed that they had beat Godzilla to the fight. However, Mothra had already arrived. She was attempting to grab Hedorah as Biollante fired a blast of radioactive sap. The pilots quickly noticed that Biollante had been heavily wounded in the battle. The pilots of the Super-X quickly took the opportunity and fired the maser cannon on the vehicle’s nose. Biollante grunted as the blast hit the side of her neck. She turned her head and bellowed at the Super-X as it darted past her. It slowly turned back around, firing again at her abdomen. Suddenly, Rodan swooped down from above, hitting the plant monster with his talons. He continued his assault, jabbing at her with his beak. Eventually, Biollante began to disintegrate into golden spores. Mecha-Ghidorah landed and roared at Hedorah. Hedorah grunted and immediately fired lasers from its eyes. Mecha-Ghidorah quickly retaliated with its beams. The two continued to fire at each other as Mothra attacked Hedorah from behind. The Super-X circled around the battle, occasionally firing at Hedorah. During the battle, they had lost sight of Rodan. Suddenly, he flew into the battle and grabbed the Super-X with his talons. The pilots tried to propel the vehicle out of his grip, flying at maximum speed. However, Rodan applied more strength, nearly breaking through the hull. Mecha-Ghidorah’s pilots noticed the sudden attack and immediately fired a short blast at Rodan. The giant pterosaur let go of the Super-X and turned around, flying towards Mecha-Ghidorah. He grabbed onto the cyborg’s middle neck and jabbed at the head with his beak, although pilots quickly forced him away with the organic heads’ Gravity Beams. “You see that?” Sam Williams, one of the pilots of the Super-X, asked, pointing towards the distance. The other pilot, Ishiro Fukuda, saw it almost instantly. “Gojira…” Ishiro whispered. Finally, the King of the Monsters was joining the battle. He lumbered towards the desert, occasionally looking around. Eventually, he looked up and roared. The pilots assumed he had noticed the Super-X. They sent a radio message to the pilots of Mecha-Ghidorah, notifying them that Godzilla had arrived. The pilots fired a quick blast from the maser cannon at him, hoping to lead him to Hedorah at a faster pace. Godzilla simply stopped. In the bright desert sun, it took the pilots a minute to notice Godzilla’s dorsal spines were glowing. He opened his mouth and fired a powerful blast of his Atomic Breath. The pilots quickly turned the Super-X, although the blast still grazed it as Godzilla turned his head. He continued to approach the battle, but soon noticed something in the distance. He growled and advanced at a noticeably faster pace. Mothra flew away from Hedorah as she noticed Godzilla in the distance. Although the two had fought a few times in the past, there had been a battle in the past in which Mothra needed Godzilla’s help. This was one of those instances. Mothra knew her attacks were doing little against Hedorah. Mothra had witnessed Godzilla kill King Ghidorah in that battle two years prior. She knew Godzilla possessed the strength needed to win. She flew towards him, hoping to lead him towards Mecha-Ghidorah and Hedorah. Godzilla quickly noticed her and grunted. She didn’t attack, and Godzilla didn’t want to start a fight with her. He had noticed Mecha-Ghidorah, remembering it from their battle. He ignored Mothra, contuing his advance towards Mecha-Ghidorah. Hedorah grunted at the arrival of a third monster. Godzilla roared at the unfamiliar monster, waiting to see its reaction. The two monsters watched each other for a moment, waiting to see who would strike first. The pilots in Mecha-Ghidorah saw the opportunity and fired the cyborg’s beams at Godzilla. Just seconds later, Mothra flew in from behind and grabbed the middle neck. She turned it, forcing it to fire at the left head, damaging it. Remembering what had happened the last time he had fought Mecha-Ghidorah, Godzilla stepped back from the chest and charged his Atomic Breath. Before he could fire, something hit the side of his neck. He felt a burning pain as the substance began to slowly erode his flesh. He turned his head and watched as Hedorah flung another ball of sludge at him. The ball hit Godzilla’s chest. He winced in pain as his skin was torn. He quickly fired his Atomic Breath at the monster. The pilots fired the Gravity Beams from Mecha-Ghidorah’s organic heads, joining Godzilla’s attack. As the two fired at Hedorah, Mothra flew off of Mecha-Ghidorah. As the beams subsided, Mothra flew at Hedorah, flapping her wings to create a powerful wind. Although Hedorah stumbled back, it remained standing. The smog monster shot a stream of sludge at her, but it simply blew back at it. Hedorah grunted as some of the sludge hit its eyes and shut them. Godzilla fired his Atomic Breath again, aiming at Hedorah’s head. However, the monster’s eyes were still shut. Mecha-Ghidorah and the Super-X joined, followed by the arrival of four Maser Cannons. The combined attack was too much for Hedorah, who began to dry up. Noticing Hedorah losing strength, the pilots in Mecha-Ghidorah suddenly turned the cyborg’s heads, firing at Godzilla. He winced in pain and stopped his fire. He turned to face Mecha-Ghidorah, roaring at it. Suddenly, he stopped moving. He watched as the cyborg stepped forward and opened its chest. As a cable shot out, Godzilla moved his arm away from it. As it flew by him, he grabbed it and pulled. Eventually, he ripped it out of Mecha-Ghidorah’s chest. It roared at Godzilla, who stepped forward. Before either could continue their attack, they heard something. They looked to Hedorah and watched as two smaller Hedorahs, identical to it in its flying form, shot out of the crumbing husk. One of the flying Hedorahs flew away from the battle while the other charged Godzilla, firing lasers from its eyes. The pilots of all the military vehicles on the scene knew its strategy: while one fought the monsters, the other could escape and regrow. The Super-X and Maser Cannons immediately pursued the fleeing Hedorah, while Mecha-Ghidorah stepped back. The pilots hoped it and Godzilla would fight to the death, and the military could finish off whatever was left. Godzilla attempted to swat it away with his tail, but the attack nearly passed through the smog monster’s malleable body. Godzilla winced as he felt a burning pain in his tail. He quickly deduced that Hedorah was made up of some sort of toxic substance. Hedorah fired lasers from its eyes at Godzilla as it flew around him. Godzilla looked around, trying to think of how to attack. He couldn’t use his teeth and claws, and his Atomic Breath seemed to do little. He thought of one final attempt to harm the monster. He swept at Hedorah, who quickly changed into a form able to walk on land. 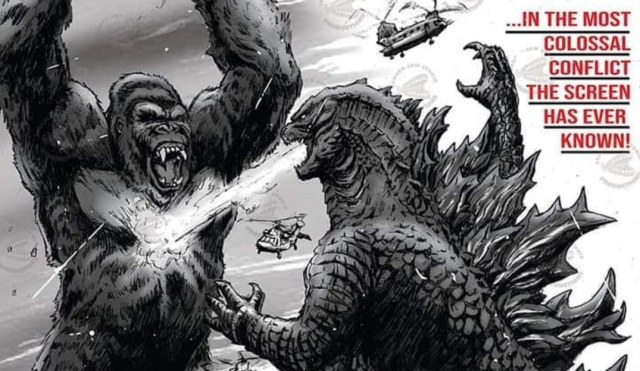 Godzilla quickly charged his Atomic Breath and fired at the monster’s large, red eyes. Hedorah squealed in pain and shut its eyes. “I have an idea!” Ian shouted. “What would that be?” Ishiro asked. “The capture cables; what if we used them on Hedorah?” Ian said. “That might work.” Akira replied. He pressed a button, opening Mecha-Ghidorah’s chest. Cables shot out, but they were absorbed by Hedorah. The smog monster turned and faced the cyborg. Godzilla stepped back as the mechanical hand came out of Mecha-Ghidorah’s chest. Hedorah attempted to absorb the mechanical hand, but stopped as the pilots released an electrical discharge into the monster. Mecha-Ghidorah kept firing the electrical discharge, but was soon stopped as Hedorah fired lasers into the cyborg’s interior, damaging it. The pilots were forced to release Hedorah. However, they noticed it was beginning to slowly dry up. Suddenly, Godzilla fired his Atomic Breath at Hedorah, aiming for its eyes. After a long, powerful blast, the smog monster was no more. Godzilla and Mecha-Ghidorah’s pilots watched as the husk began to disintegrate. “This one’s dead.” Ian said into the radio. “We’ll need your help with Godzilla when you come back.” Ian said as he stared out the window. The King of the Monsters was glaring at the cyborg, ready to attack. The pilots immediately fired Mecha-Ghidorah’s beams, causing Godzilla to flinch. Once Mecha-Ghidorah stopped firing, Godzilla charged forward. He turned his body, hitting Mecha-Ghidorah’s legs with his tail. As it stumbled, Godzilla slammed into it. He stepped back as his opponent began to flap its wings. It quickly lifted off of the ground, away from Godzilla. The pilots watched with dread as Godzilla’s dorsal spines began to glow. They knew they couldn’t dodge the attack. 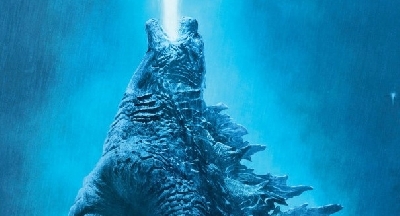 Godzilla took a deep breath and opened his mouth, releasing his Atomic Breath. The beam quickly made contact with Mecha-Ghidorah’s chest. The cyborg quickly returned fire with its beams as it flew in circles around Godzilla. Suddenly, something slammed into Mecha-Ghidorah’s back, forcing it down. “It’s Rodan!” The pilots heard a voice tell them through the radio. “Shoot him down!” Ian replied. “We’re on our way.” Kenji Fukuda, co-pilot of the Super-X, replied. He had taken on the role after Ishiro moved to Mecha-Ghidorah. Although he was new to the vehicle, he still knew how to fly and fire. As the Super-X sped up, he unleased the cadmium missiles on Rodan. The giant pterosaur grunted as the missiles hit him and left Mecha-Ghidorah, flying towards the Super-X. It turned, narrowly avoiding Rodan’s talons. Godzilla watched the battle in the sky just a few hundred feet above him. Although Hedorah was dead, a new battle had begun against Mecha-Ghidorah and the Super-X. The plane carrying Godzilla Junior soon landed in Queensland, Australia. The sedated Godzilla Junior was taken from the plane and loaded into a truck. “What’s the point in bringing him here? Hedorah’s dead and Godzilla’s fighting Mecha-Ghidorah.” John said. “We attached a tracking device and a small camera to Junior. If we can monitor that, we can learn a lot about the kaiju and possibly determine where Godzilla goes and warn people of an impending landfall.” Dr. Smith replied. Mothra and Rodan attempted to hold Mecha-Ghidorah’s heads back as Godzilla fired his Atomic Breath, but the Super-X forced both of them off with its maser cannon. As Rodan flew after the Super-X, Mothra and Godzilla continued the battle against Mecha-Ghidorah. 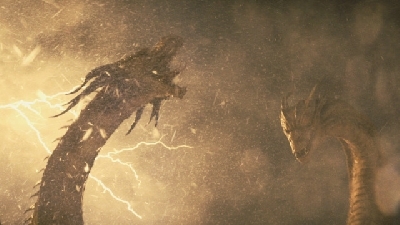 Godzilla attempted to slash Mecha-Ghidorah’s crest with his claws, but to no avail. The organic heads grabbed his arms, preventing him from attacking any more. The mechanical head fired its Triple Laser Beam at Godzilla’s head. Mothra attempted to pull it back, but to no avail. Eventually, Godzilla freed himself and stepped back, wincing as something hit his side. He turned his head, noticing three MBT-92 Maser Cannons firing at him. With one sweep of his tail, he was able to destroy them. Meanwhile, Rodan chased the Super-X across the Australian sky. As the aircraft was much smaller than the giant pterosaur, it was able to avoid him. It eventually made a wide 180 degree turn and began flying behind Rodan. The pilots bombarded him with missiles and the maser cannon. Rodan grunted as the attacks hit him and flew higher into the sky. For one minute, the pilots searched for him. “He’s right above us, and will probably come down!” Sam replied, pointing to the radar. Kenji glanced at the radar. Sam was right; Rodan was right above them. The two immediately hit the eject button. Seconds later, they were launched from their seats. As their parachutes opened, they watched as Rodan came down upon the Super-X, instantly destroying most of it. 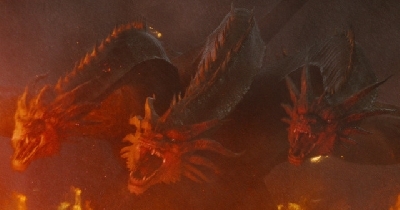 Rodan watched as the cockpit and parts of the wings fell to the ground before flying towards Mecha-Ghidorah. Godzilla fired his Atomic Breath at the cyborg’s wings. However, the blast did little damage. However, it was staring at something to its left. Godzilla took the moment to strike. He charged forward, grabbing the base of the middle neck with his mouth and claws. Before he could pull it off, the organic heads fired at him. Godzilla stepped back and watched as Mothra pulled the middle neck off of the cyborg’s body. Remembering the last battle, Godzilla charged his Atomic Breath, assuming Mecha-Ghidorah was disorientated from the removal of the dominant neck. However, Mecha-Ghidorah immediately fired its Gravity Beams from the remaining heads at Godzilla. He flinched as the beams hit him, but quickly retaliated with a powerful blast of his Atomic Breath. “We should probably abandon ship.” Ian said. “No. We can finish this.” Ishiro replied. He pressed two buttons, firing the Gravity Beams again. He moved the controls, causing the cyborg to flap its wings. It began to ascend as it continued to fire at Godzilla. As it ascended a few hundred feet into the air, Rodan appeared. He began to slash at the left wing, quickly tearing it. The left head fired its Gravity Beams, but Rodan continued. As Mothra began to slash the right neck, Rodan widened the tear. Mothra began to attack the right wing, but to no avail. Rodan slammed into the cyborg’s back, forcing it down. The pilots, quickly losing hope in the battle, made their way to the escape pod. Eventually, Mecha-Ghidorah’s body slammed into the ground. John and Dr. Smith soon approached the battle. As they stepped out of the back of the truck, they watched as Godzilla, Mothra, and Rodan beat the downed cyborg. Godzilla grabbed its tails and lifted it up before slamming it back into the ground. He repeated it until the chest cracked open. He flipped the body over, revealing the interior. As Rodan and Mothra pulled the metal on the abdomen apart, Godzilla charged his Atomic Breath. He fired, instantly destroying the cyborg’s internal systems and weapons. The blast severed the heads’ connection to the body. After the twenty second blast, little was left of Mecha-Ghidorah. The King of the Monsters turned away from the destroyed cyborg, sensing something in the truck. Godzilla Junior awakened and stumbled out of the back of the truck. He stared at Godzilla and let out a high-pitched roar. Godzilla bellowed, the deep sound filling the desert. Godzilla Junior slowly approached Godzilla, who simply watched him. “Do you think they know each other?” John asked. “Junior probably recognizes Godzilla as a member of his species.” Dr. Smith replied. They got in the truck, and began to drive off. They glanced out the window, watching Rodan and Mothra fly off. In the airplane, they noticed Godzilla and his new son walking back out to the ocean. John, Dr. Smith, and two other scientists sat in a room, watching the screens in a room at M.A.P.L. Headquarters in Tokyo. 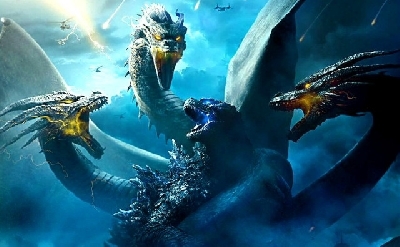 It had been two weeks since Godzilla had fought Hedorah and the military’s creations in the Battle of Queensland, as it had been referred to. With the tracking device on Godzilla Junior, they could see that both he and Godzilla, his adoptive father, were alive and well. On the screen, they watched as a large, blueish dinosaur walked around on an island. “Where’d you get him again?” John asked. “Canada. He was found frozen.” A scientist answered. “How do you know he’ll stay there?” John replied. “We’re not sure if he can swim off, but the island has everything he needs.” She answered. “What does he eat?” John asked. “We cannot say at the moment. Its existence is only known by certain branches. 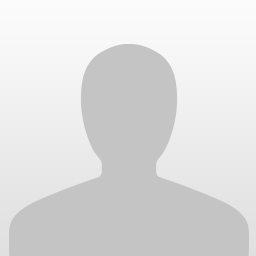 Yours is not one of them.” The other scientist said. John nodded, accepting the answer. The four sat in silence for a minute, watching the dinosaur, dubbed Gorosaurus. They watched on one screen as a cargo ship carrying an unknown cargo approached the island. “That’s probably new Kumonga.” John said. A smaller giant spider had been found in Papua New Guinea and was quickly subdued by a squadron of Maser Cannons, along with support from conventional weaponry. Instead of killing it, M.A.P.L. decided to bring it to the first of their new islands. They knew it was a risky move, as there was a chance Gorosaurus might kill it, but they took the chance. “So what else do you think is out there?” A scientist asked. Finally. Looks awesome. Can't wait for the next one. Nice job. Also, is there going to be a sequel to this "novella" (not sure what to call it other than a novel or something else)? ^Always considered these more of fan fictions. And yes, there will be a third one. Even more monsters than the first two. Not bad, SFK. I look forward for the rest. @Sci-Fi King25 Nice to know, but I actually meant that I was wondering if there was going to be a sequel (or sequels) to Godzilla: Uprising. 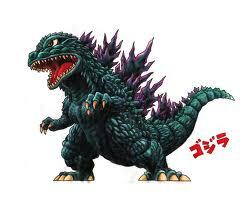 (Like the IDW Godzilla comics main storyline ["Godzilla: Kingdom of Monsters"-"Godzilla"-"Godzilla: Rulers of Earth"].). 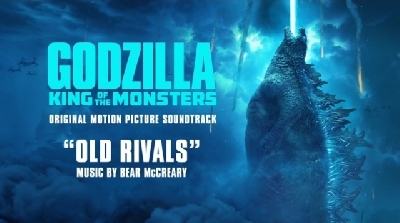 Personally, I'd call it (them if there are more) "Godzilla: Dominance" and "Godzilla: Downfall". ^There’ll definitely be one more story left. Already have an idea for it. Not sure where I’ll take it after that, if it goes anywhere else at all. Can it include the Xilliens, Battra, and Zilla? ^Aliens like the Xiliens won't appear. Battra has been considered for some time but I'm not sure if he'll end up making it. Zilla definitely will. 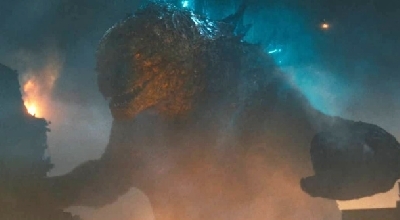 Will Legendary Godzilla (G14) and GMK Godzilla appear in the next one as well? 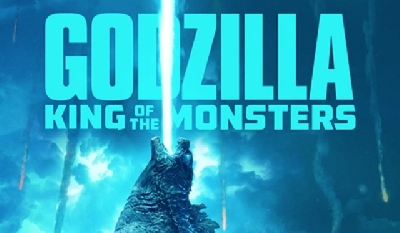 ^Godzilla 2014 is most likely a no. GMK design is under consideration. New chapter. Battle is finished. One more chapter left. And what about Mechagodzilla II? I ask because naturally, after Mecha-King Ghidorah was defeated, they salvaged his parts and created Mechagodzilla II (Plus Godzilla Junior is in this, so why not?). ^Don’t want to give too much away, but his backstory will be a combination of the Heisei Mechagodzilla and Kiryu. No, no. It's ok. Don't want you spoiling it. I'll wait for when it comes out. See you then. Last chapter in this entry. Just something short to wrap things up. Also introduces a new plot element that may or may not play a big part in the third entry. What a great ending. Can't wait for the third one. See you then.